7 Are You Planning on Moving to Mississauga? Mississauga is a large city in the southern part of Ontario on the shores of Lake Ontario. It is part of the Region of Peel municipality in the Greater Toronto Area and lies to the west side of Toronto. As per the 2016 census, this city has a population of around 721600 and also includes multicultural residents. Mississauga has a rich, diverse and vibrant history and there are many options to explore this wonderful city. There are scores of museums, galleries, parks, gardens, trails that could keep you busy. Some major landmarks include Marilyn Monroe Towers, Civic Centre, Port Credit Lighthouse and much more. If you are an outdoor person then Mississauga does let you sail, hike, run, skate, cycle or paddle in your leisure days. The Toronto Pearson International airport is in Mississauga and the city has an efficient transportation network. We conducted a comparison of home insurance quotes by some insurance providers in Mississauga. The cheapest quote for home insurance was by Travelers Dominion Product at an annual cost of $692. The RSA Insurance had the next lowest quote at an annual price of $748 which is $56 higher than the cheapest quote. As per a comparison survey, the highest quote was by the Economical Insurance at an annual cost of $1640. This was $948 higher than the lowest quote and this was a variation of 57.80%. The quote by TD Insurance came up as the next expensive quote at an annual cost of $1353. This was a difference in premiums by $287. Typically you may purchase a comprehensive, no-frills, named perils or a broad home insurance policy in Canada. The 2 major components in a home insurance policy include personal liability and perils coverage. Usually, home insurance policies may not cover a predictable peril and additional coverage. The most commonly purchased home insurance coverage is a comprehensive policy. This includes both the building structure and the contents but may have some exclusion. An example of exclusion could be damage due to an earthquake. In case you are looking to save some money and compromise on the level of coverage then you may choose basic policy. This policy is also called the named perils policy as it specifies certain types of perils for which you are covered. Some may choose a broad policy that may not be as limited as the basic but not as inclusive as the comprehensive coverage. If your property needs special underwriting requirements then you may buy the no-frills policy. You may make use of the following tips to reduce your home insurance premiums. Choose a higher deductible as it could bring your premiums down. Reinforce the safety of your home by installing burglar alarms, smoke detectors, and damage proof building materials. Check out what discounts may apply to your situation such as non-smoker, loyalty, claims free or multi-line discounts. Don’t pay for coverage that is not worth your premiums. Get coverage for rebuilding cost of your home and exclude the cost of the land. If you are planning to get a pet then be aware that certain dangerous breed of dogs may invite higher premiums. Shop for multiple quotes from different providers as you may save by comparing. Keep a good credit rating score. Choose to pay annually rather than monthly as some insurers may give you a better deal. If you live close to emergency fire services and hydrants then inform your insurer as it could give you a discount. Are You Planning on Moving to Mississauga? Mississauga is a safe city when compared to other Canadian cities and is located conveniently near Toronto. So, you get to experience the suburbs and the fast paced Toronto life when you move to Mississauga. Whether you are moving with a family or not, Mississauga has community friendly services, education and employment options to suit most. If you are a professional then you may like the Cooksville neighborhood in the city center as it is well connected. In case you are looking for some peace and quiet outside city limits then you may look to buy a home or move in with your family in Port Credit or Lakeview. These neighborhoods are near Lake Ontario and if you are a student then you may blend with the crowd in the Erin Mills area which is abuzz with students. The public transportation system in Mississauga is known as MiWay transit that helps you to travel locally on the orange buses. You may hop on the blue buses for express travel. If you want to go to the Greater Toronto Area then you may use the GO Transit. Mississauga has many bike paths and trails that may be used to walk, cycle, jog or even skate. Around 7 major highways run through Mississauga that connects it with the U.S. and other Canadian cities. These include highways 401,403, 409, 410, 427, 407 and the Queen Elizabeth Way. 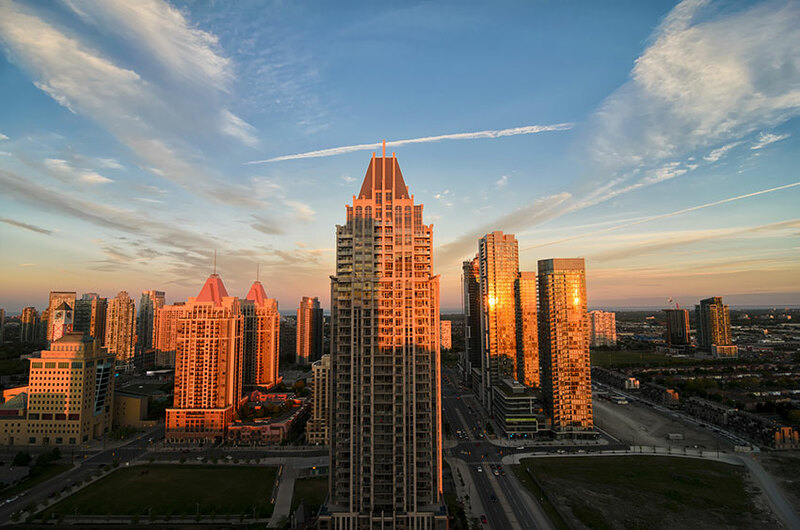 In Mississauga, the city governance comprises of a Mayor and 11 Councilors for each ward.The public may attend the city council and committee meetings and may also request to speak in one of these meetings. The average cost of living in Mississauga is considered around 2.78 percent more than Toronto. For a single person living in Mississauga without paying any rent, the average monthly cost may be around $960. If you wish to save some housing costs then you may choose to live around the City center where there are many condos that are affordable. The Lorne Park neighborhood seems to be the most expensive in terms of housing costs in Mississauga. In 2016, the real estate home sales soared compared to over 9 years sales. As per the Mississauga Real Estate Board, the average house prices was up by 21.5% in December 2016 when you compared it to prices in December 2015. The average house price in Mississauga was $628067. 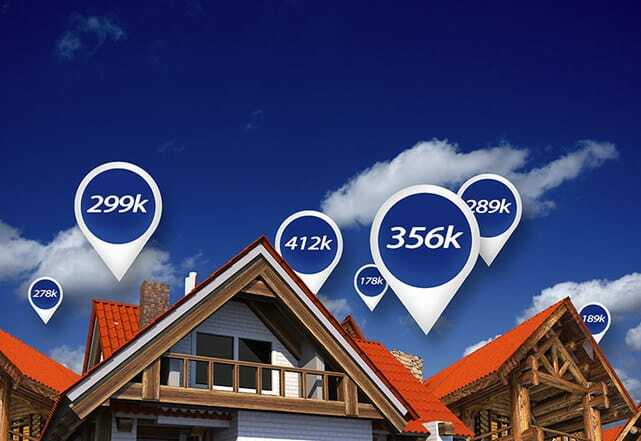 The average cost of a detached home in Mississauga was $973179. A semi-detached house may cost an average of $611731 in Mississauga. If you are planning to buy a townhouse then you may pay an average price of $446376. In case you are looking to buy an affordable condo in Mississauga then you are looking at an average price of $313364. The city of Mississauga has introduced an interim billing service that lets you register, manage and view your Mississauga property tax bill. You may look up tax levy and assessment details for properties on the basis of roll number or address. It is very easy and does not require a tax PIN. It may not include business improvement area charges, capping or local improvement tax levies. All assessments are levied by the (MPAC) Municipal Property Assessment Corporation. You may check out a comparison of the average annual salary of some job profiles based in Mississauga. If you live in a condo in Mississauga then the average hydro costs are quite reasonable when you compare it to other types of homes. A family of four may pay around $50 to $60 per month for hydro bills as per consumption. In case you lived in a house then the hydro costs may go up to an average of $200 per month. Mississauga has a humid continental climate with warm summer and cold winter temperatures that are moderate. The summer months are from July to August with temperatures reaching up to 20 C to 30 C. The winter season may see temperatures drop to as low -15. However, there is less snowfall in Mississauga compared to other cities in Ontario. The average cost for daycare in Mississauga per child may be around $1042. You may pay an average of $66.90 per person for grocery costs in Mississauga and this does not include personal care products.